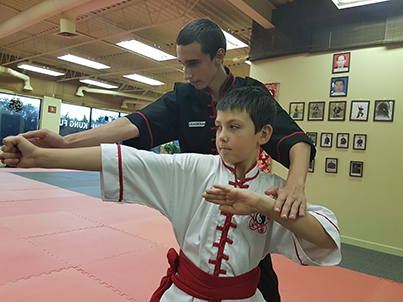 The Plum Blossom Martial Arts Academy Kids Kung Fu programs are a Revenue Canada recognized physical fitness activity for which you may claim your child/children's membership fees. Submissions for this fitness tax credit must be in accordance with the Revenue Canada guidelines as outlined by CRA. Tax receipts will be issued, on request, in February of each year for the previous tax year. 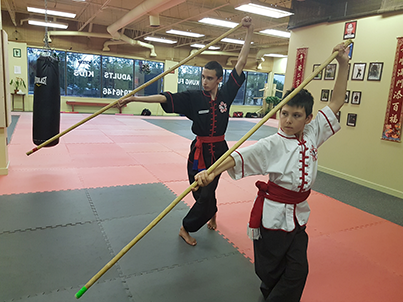 Our kids class is fun-filled and fast-paced. It is packed with challenging and developmental material that will never have your child bored or unmotivated. Hard training will reward your child with confidence and improved self esteem. 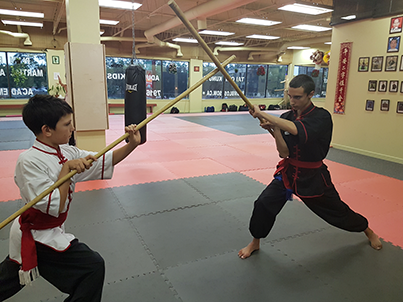 The instructors are always hard at work to instill the values and attributes that training in a traditional martial arts environment can give your child. No experience is necessary for your child to begin training immediately. This is a comprehensive program culminating in the attainment of serious Self-Discipline and self-preservation skills for your child. Television, Soft drinks, Video Games, and Fast Food. These are just a few of the challenges children face today. Combine these temptations with a decrease in school physical education classes, and it’s easy to see why weight problems and obesity among children have more than doubled in our country in the last twenty years. Both kids and adults do less physical activity and are falling behind in many physical parameters as they get older. The bottom line is that our Canadian kids are “Out of Shape”, overweight and generally not of vibrant health!! It is our commitment to improve the physical well-being of the students by stressing a strong and flexible body, and instilling the “non-quitting attitude” in our students. 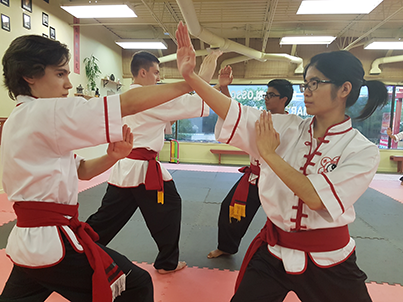 At Plum Blossom Martial Arts Academy, we help children develop a healthy mind and body, so they have the energy and fitness levels to face life’s challenges and succeed. 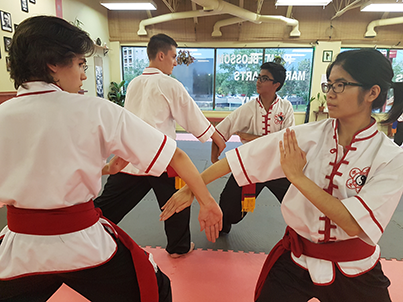 We begin with self-discipline, or what we like to call in Martial Arts, a “Non-Quitting Spirit”; however before self-discipline can be developed, discipline must come from an external source, that is, your Plum Blossom Martial Arts instructors. Once a student starts to achieve, they begin to apply self-discipline, which leads to greater achievement, and achievement develops a deeper sense of confidence. Ultimately, this Cycle of Success develops a strong sense of self esteem in your children. Self-discipline itself is not enough. 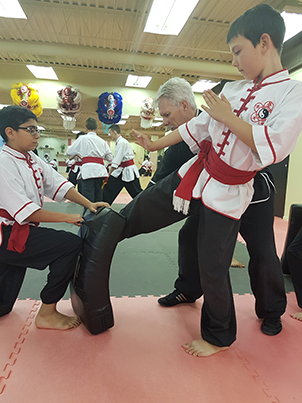 We also teach our children the art of self-defense, which is an important life skill in today’s world. Life for our kids is tougher in this society, where violence and crime are on an upswing. Children today face more bullying and negative peer pressure then ever before, so it is essential they have the skills necessary to distinguish between good and bad, right or wrong, and Fight or Flight. First and foremost is that they also learn conflict resolution, and when they should and shouldn’t use their newfound skills. 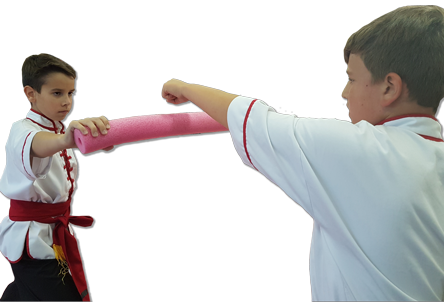 Children who know how to defend themselves typically have fewer confrontations, since they carry themselves in a much more confident and aware manner. 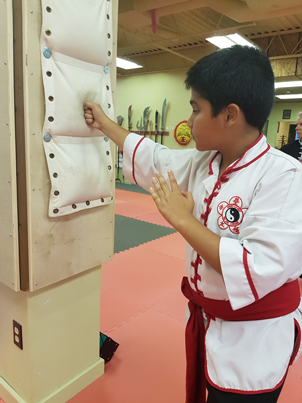 Our commitment is to teach rock solid skills to your child, through a solid foundation of Traditional Martial Arts, Self Discipline and qualified professional instruction.